The path of spiritual realization is undoubtedly difficult. The Lord therefore advises us to approach a bona fide spiritual master in the line of disciplic succession from the Lord Himself. No one can be a bona fide spiritual master without following this principle of disciplic succession. The Lord is the original spiritual master, and a person in the disciplic succession can convey the message of the Lord as it is to his disciple. No one can be spiritually realized by manufacturing his own process, as is the fashion of the foolish pretenders. The Bhāgavatam says: dharmaṁ hi sākṣād-bhagavat-praṇītam—the path of religion is directly enunciated by the Lord. Therefore, mental speculation or dry arguments cannot help one progress in spiritual life. One has to approach a bona fide spiritual master to receive the knowledge. Such a spiritual master should be accepted in full surrender, and one should serve the spiritual master like a menial servant, without false prestige. Satisfaction of the self-realized spiritual master is the secret of advancement in spiritual life. Inquiries and submission constitute the proper combination for spiritual understanding. Unless there is submission and service, inquiries from the learned spiritual master will not be effective. One must be able to pass the test of the spiritual master, and when he sees the genuine desire of the disciple, he automatically blesses the disciple with genuine spiritual understanding. In this verse, both blind following and absurd inquiries are condemned. One should not only hear submissively from the spiritual master; but one must also get a clear understanding from him, in submission and service and inquiries. A bona fide spiritual master is by nature very kind toward the disciple. Therefore when the student is submissive and is always ready to render service, the reciprocation of knowledge and inquiries becomes perfect. The disciple must pass the test of the spiritual master. Srila Prabhupada outlines his test for every member of the Krishna consciousness movement very clearly in his books. This test determines whether a prospective disciple is fit for initiation into genuine spiritual understanding. Note: This could only mean that the spiritual master’s blessing is there automatically upon the discipline being followed. A spiritual approach. Note: If determination is the initiation, this could only mean that the transcendental knowledge (real initiation) from Srila Prabhupada is automatically there. A spiritual approach. Note: Again we see the same automatic element here. Upon promising to execute the order of the spiritual master, the spiritual master takes care of him spiritually. Note: Another strong proof that Srila Prabhupada’s blessing of genuine spiritual understanding is already or automatically there as we are all following his instruction. The approach is following the instructions. 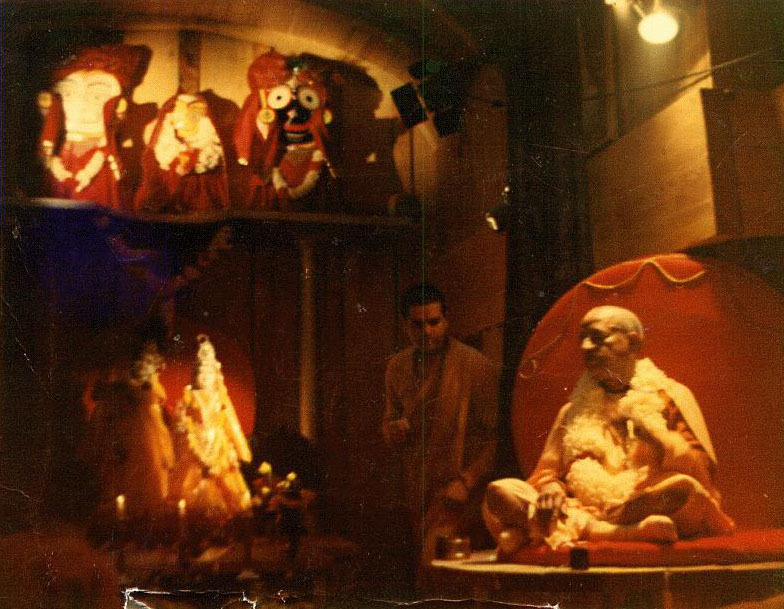 Where is the question of Srila Prabhupada not being ready to accept a disciple providing the disciple genuinely desires to surrender unto Krsna by seriously executing Srila Prabhupada’s instructions? This is the meaning of automatic. The purpose of approaching a spiritual master is to receive spiritual guidance and become eligible to return back home, back to Godhead. Since we aren’t pure enough to consult directly with the Supersoul, Sri Krishna, we must approach an external, physical and self-realized spiritual master in order to receive this same spiritual guidance in a way perceivable to our present senses. This happens to be the reason Srila Prabhupada wrote so many books. Srila Prabhupada’s books are nondifferent from himself in transmitting transcendental knowledge and providing spiritual guidance to any sincere candidates who agree to abide by the methods of devotional service prescribed n his books. “Kṛṣṇa is the first spiritual master, and when we become more interested, then we have to go to a physical spiritual master. That is enjoined in the next verse. The physical presence of the spiritual master could not be required at any time in the course of one’s spiritual life. Spiritual progress – receiving spiritual knowledge – depends on executing the spiritual master’s instructions. The approach is not an approach to the physical body within material vision but more importantly an approach to the vani of the spiritual master – his words and instructions. In the same way, the spiritual master’s acceptance is not on a material, physical basis but it is a spiritual acceptance based on the genuine desire of the disciple – to be confirmed spiritually on the assurance that by following his instructions he is automatically blessing you with genuine spiritual understanding. Not that he is dead and gone. That is not spiritual understanding. 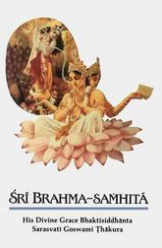 Brahmānanda: …You stated that a statue of yourself is not the same as you, and yet in some of our temples, such as Vṛndāvana, the mūrti of Your Divine Grace has been installed and they are offering prasādam. So is it the same, that the prasādam is accepted by the guru? Note: Srila Prabhupada directly states that reading his books acts as the process of transcendental knowledge being revealed and developing one’s spiritual life (making him ‘eligible’). This is what diksa is. Four months before Srila Prabhupada’s disappearance he issued a directive (July 9th letter) which only confirmed this role. One hundred letters were sent to temple presidents around the world informing them of Srila Prabhupada’s continued role as the initiator spiritual master of the movement. In other words, nothing changed – the status quo of Srila Prabhupada as the initiator was simply emphasized to continue. This is a conclusive and brilliant post, as brilliant as the sun. Any entities who continue to choose to adjust or improve upon the sun’s brilliance, are simply reinforcing their foolishness and misfortune. We sincerely pray that they may soak up Srila Prabhupada’s causeless mercy once again, become healed, and stop their habit of attempting to spread ignorance and disaster. It is never to late to rectify one’s mistakes, and never to early. OM TAT SAT.